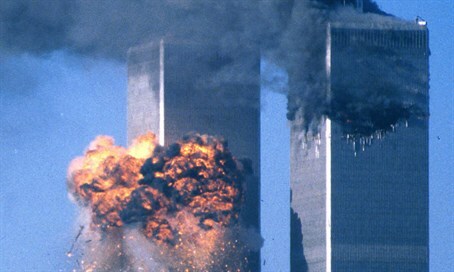 Senate approves legislation that would allow 9/11 victims to sue Saudi Arabia. White House threatens veto. The United States Senate on Tuesday approved legislation that would allow victims of the September 11, 2001 terror attacks to sue Saudi Arabia, The Hill reported. The upper chamber approved the Justice Against Sponsors of Terrorism Act by unanimous consent, according to the news website. "This bill is very near and dear to my heart as a New Yorker because it would allow the victims of 9/11 to pursue some small measure of justice," Sen. Charles Schumer (D-NY) said. "[This is] another example of the [John] Cornyn-Schumer collaboration, which works pretty well around here." President Barack Obama has threatened to veto the bill, but Schumer said he wouldn’t uphold a veto, and expects that most senators wouldn't, either. "I think we easily get the two-thirds override if the president should veto," he was quoted as having said. Sen. John Cornyn (R-TX) said he and Schumer are talking with leadership in both parties to get an "expedited" vote on the bill in the House. White House press secretary Josh Earnest reiterated Obama's opposition to the bill on Tuesday. “Given the concerns we have expressed, it’s difficult to imagine the president signing this legislation,” Earnest said, according to The Hill. Despite bipartisan support for the legislation, it hit a snag last month when Sen. Lindsey Graham (R-SC) said he was blocking the legislation over concerns it would open up the U.S. to lawsuits from foreigners accusing Washington of supporting terrorism. But Graham's office said he dropped his hold over the recent recess. Cornyn thanked Graham and other GOP senators for "their willingness to work with us to deal with their concerns," The Hill quoted him as saying. In addition to Obama, the legislation has also drawn criticism from the Saudi government. Top Saudi officials reportedly threatened to sell off billions of dollars in U.S. assets if Congress passed the bill. British media reported last month that evidence uncovered in 2002 links the Saudi Arabian government with the 9/11 attacks. Subsequent reports indicated that the White House would soon release the document in question.